Friday, Oct 29! Kids 12 and under join IHOP on Friday 10/29 and be treated to a Free Scary Face Pancake that you can decorate with Mini Oreo® Bite Size Cookies. 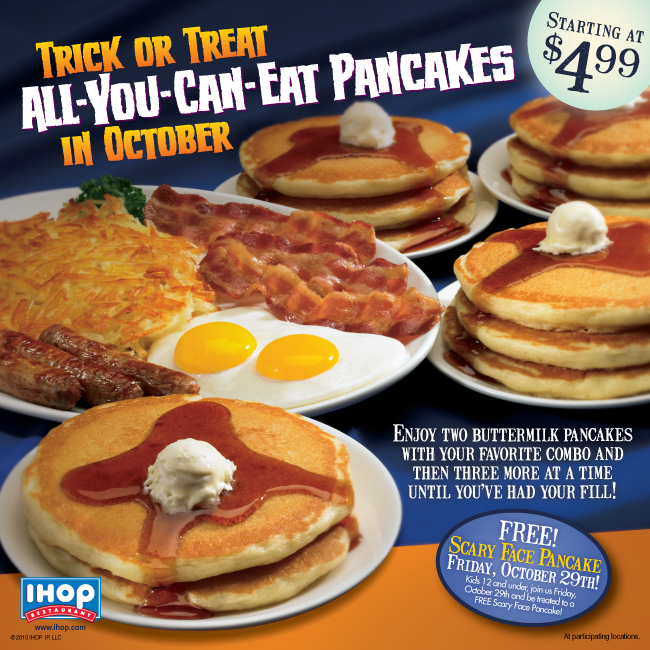 Those above age get nothing free, but can take advantage of the all-you-can-eat pancakes starting at $4.99!